A five-judge constitution bench headed by Justice Ranjan Gogoi unanimously held that a person belonging to Scheduled Caste in one state cannot be deemed to be a Scheduled Caste in other states where he migrated for the purpose of employment or education. 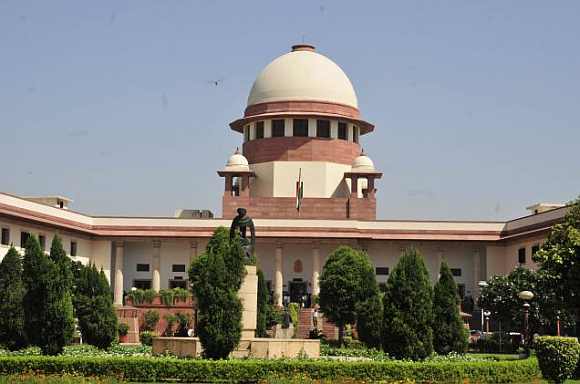 The bench, which also comprised Justices N V Ramana, R Banumathi, M Shantanagoudar and Justice S A Nazeer, held "A person notified as Scheduled Caste in state A cannot claim the same status in another state on the basis that he is declared as Scheduled Caste in state A." Justice Banumathi, however, disagreed with the majority view on the aspect of applicability of central reservation policy on SC/ST in national capital territory, Delhi. The verdict came on a batch of petitions that had raised the issue whether a SC/ST in one state can seek reservation in another state where his caste is not notified as SC/ST. The bench was also seized of the question whether SC/ST people of other state can seek quota benefits for government jobs in Delhi.